Truffle was one of New Zealand's first grower Champagne importers and we now have over 40 different Champagnes in stock at any time. We stock only authentic, artisanal, Recoltant-Manipulator certified wines. So, why buy Grower Champagne (farmer-fizz) instead of 'factory' fizz from the big boys.....? Aside from the purity, the depth of flavour and the minerality, the best Grower Champagnes are made by people who care deeply about the quality of what they produce. Rather than being in the luxury goods business, they are often the 3rd or 4th generation in their family who have been involved in grape growing and winemaking. They know every inch of their property and what suits it best. Most Grower wineries are organic or bio-dynamically driven, and have been for decades - they just don't make a fuss about it. These are wines that are pure, honest expressions of terroir and the year the grapes were harvested, rather than a clever concoction of under-ripe grapes which has been blended and massaged with a dosage until it fits a house style. 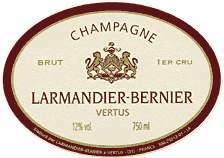 Grower Champagnes are real wines made by real people and mostly at modest prices which reflect the cost of their creation - no large advertising or PR budgets here. To quote top American importer Terry Thiese - "If you'd rather eat a local field-ripened tomato rapturous with sweetness instead of some tomato you buy at the supermarket - hard as a stone and tasting of nothing - then you should be drinking farmer-fizz!" Please click on the index on the left side of the main page to see the relevant producer's full range. Diebolt-Vallois Rose from the village of Cramant. Made using the more expensive saignee method. Diebolt-Vallois 100% Chardonnay from the village of Cramant. The white 'Prestige' label is a step up on the standard green label cuvee.